A dragline scoops up coal at Peabody's North Antelope Rochelle Mine, near Gillette, Wyoming. 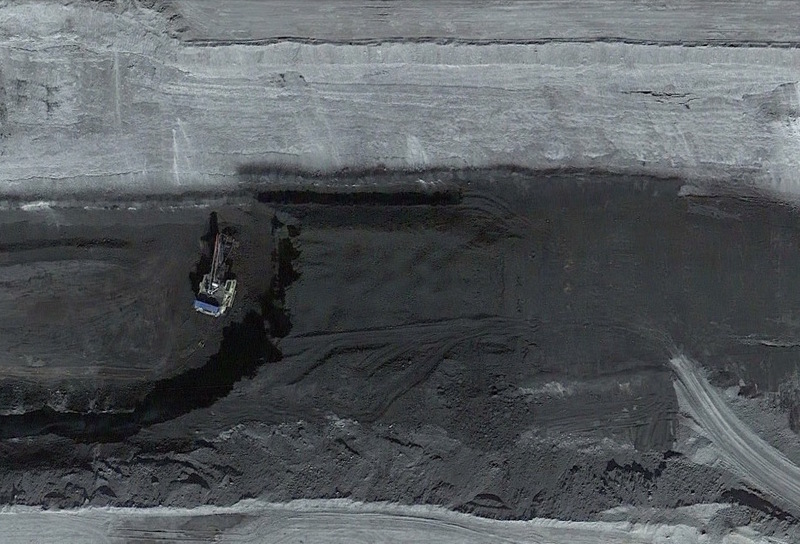 Google Earth 2013. The coal industry’s slide continues as one of the nation’s largest producers reported a loss of over $2 billion in 2015. Peabody Energy has extensive mining operations across the US and Australia. But its stock price plummeted in 2015 and the company’s Wyoming coal production was down around four percent from the year before. During the company’s quarterly earnings call, executives broke with tradition and declined to take questions due to quote sensitive timing. Here’s CEO Glenn Kellow. “There is no question that the industry backdrop has been challenging. Not to mention that several of our peers have filed for bankruptcy in the last year,” CEO Glenn Kellow, said. Peabody is working to reduce its billions of dollars in debt and increase available cash to help it weather the weak coal market. St. Louis based company is not alone. Coal producers nationwide have been struggling to survive high debt loads, low natural gas prices, weak demand in Asia, and a variety of federal environmental regulations.